Xylophone and Bass Marimba are similar to the vibraphone but are using wooden bars instead of aluminium. 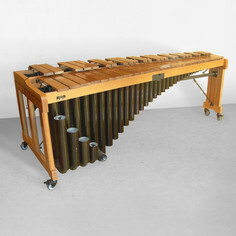 Each bar, that vibrates when hit with mallets, is paired with a metallic resonator which is tuned to amplify the sound. 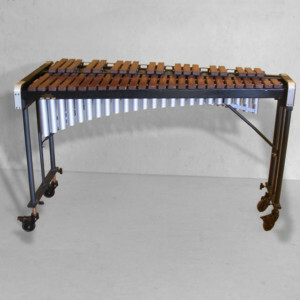 The origin of the xylophone dates back several thousand years in Africa and South East Asia. The marimbaappeared at the same time and is today the symbol of Guatemalan music. 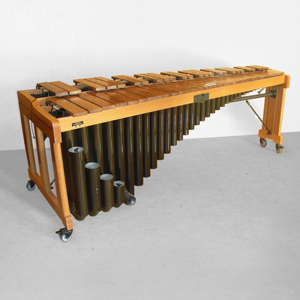 Due to its huge size, the bass marimba sounds more than two octaves below the xylophone. Very popular both, they are used in various musical styles from classical to Latin and rock. 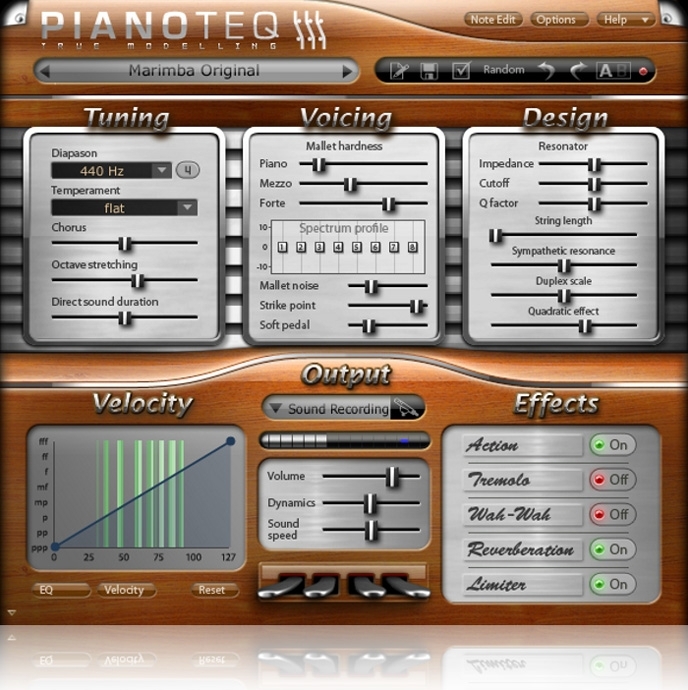 The Pianoteq virtual copies of these two instruments are respectively modelled after a modern 3½-octave French brand xylophone and a modern 5-octave French brand bass marimba. 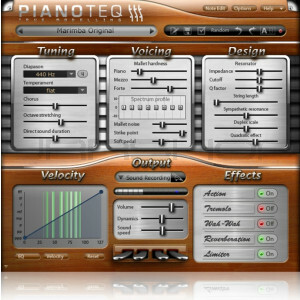 Thanks to the sophisticated Pianoteq physical model, they come in several variants and benefit from the recently developed humanization feature which allows varying the strike point, adding to the musician's interpretation a vivid and stunning realism.